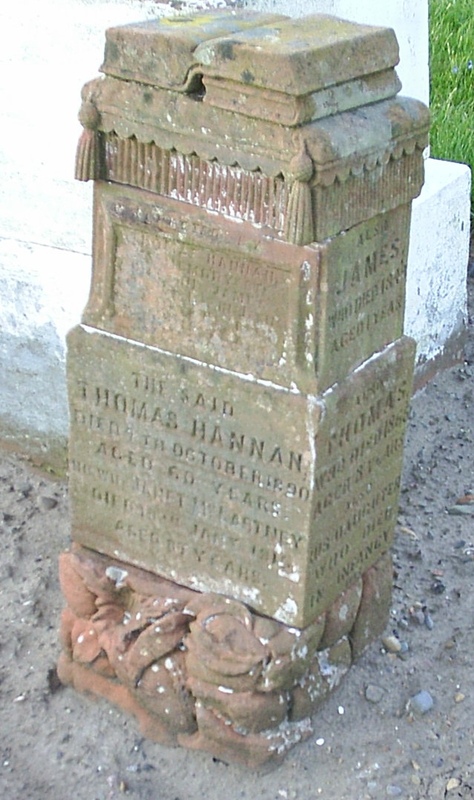 In Girvan, on the west coast of Scotland, there are two tombstones for members of the Hannan family. They are made of sandstone, and relatively small compared with the surrounding tombstones. The one on the left is the family of Thomas Hannan (c1830-1890) and his wife Janet McCartney (c1830-1915), my great great grandparents. I first saw it in May 1967, when my mother, Ella Hayes, and I visited her cousin Willie Hannan in Glasgow, and Willie took us to Girvan in Ayrshire, and showed us where the earlier generations of the family had lived. He said that they had had 9 children and the only one who didn’t die young was his and my mother’s grandfather, William Hannan (1856-1928). 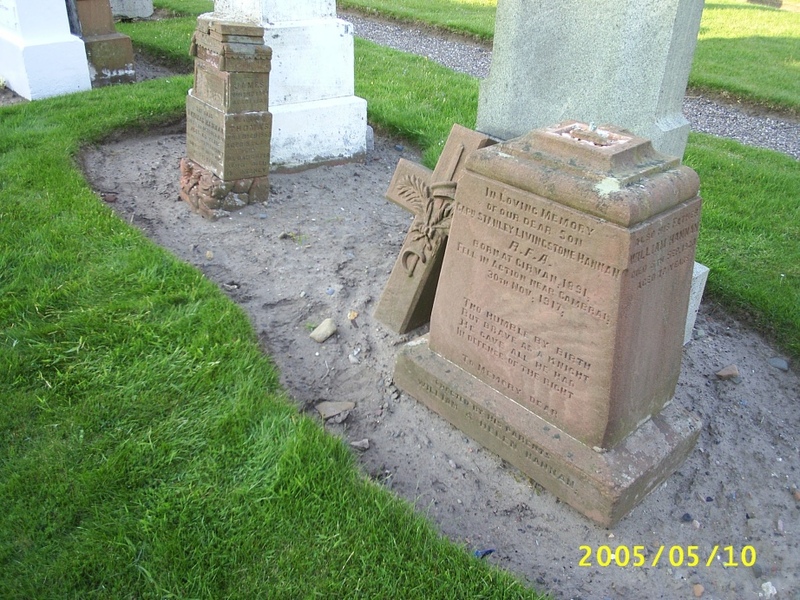 The names of the children who had died young were inscribed around the sides of the stone. Thirty-eight years later we visited it again, and this time having a digital camera took more pictures of it. So there are a whole lot more cousins on the Hannan side that we didn’t know about. There are several interesting things about this. One is that Tom Hannan, Stanley Hannan’s older brother, was jailed as a conscientious objector during the First World War. 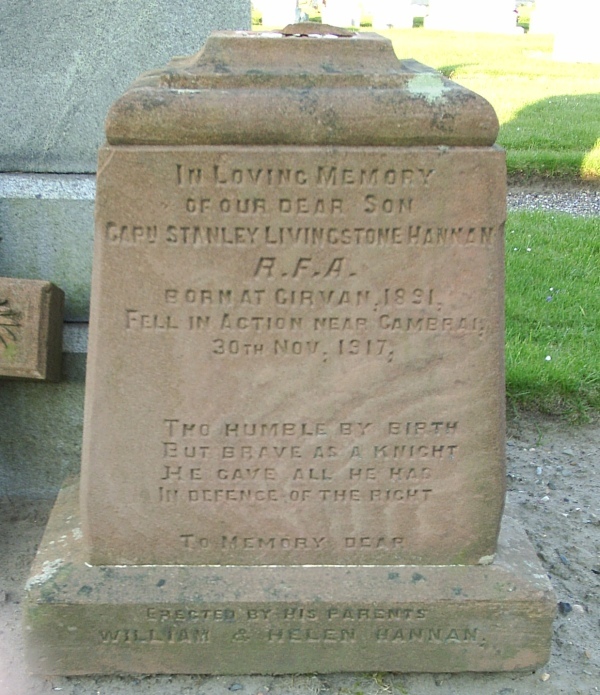 For more on this see this earlier entry, and also the Hannan family pages on Wikispaces.